Temporomandibular joint disorder, or dysfunction, is a term used to describe pain and discomfort in the muscles that move the jaw. Temporomandibular joint disorder is known as TMJ, TMD or TMJD. Temporomandibular joint disorder is characterized by pain and restriction in movement of the jaw or mandible. TMJ is not life-threatening but it can lower quality of life because the symptoms can become chronic and difficult to manage. TMJ is a not attributed to a single condition or cause, it is a complex symptom. There is not universal agreement on the factors which cause TMJ. TMJ could be caused by teeth grinding as a result of a sleep breathing disorder like sleep apnea. When someone struggles to breath at night, they may grind their teeth. People with sleep apnea sometimes report headache that is causes by teeth grinding related to TMJ. The ball, called the "condyle"
The socket, called the "glenoid fossa"
What Are Signs and Symptoms of Temporomandibular Joint Disorder? According to TMJ.org, TMJ can be difficult to manage because there is not a single cause and it may involve multiple health care professionals in both dentistry and neurology to treat the disorder. 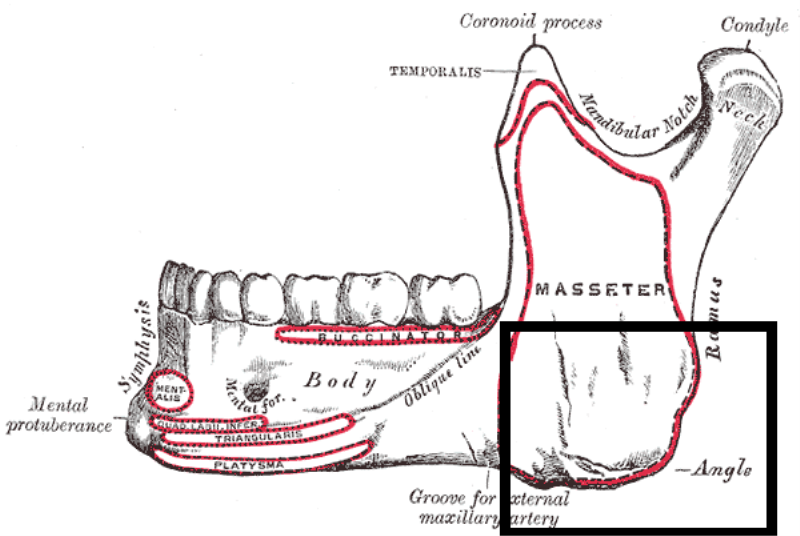 The general approach is to not permanently alter the jaw or treeth. Medication may be prescribed for pain. 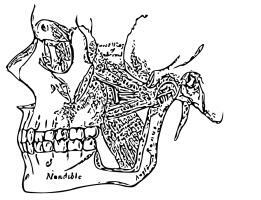 Treating TMJ could involve treatment of pain, mood disorder, anxiety or fatigue. Relaxation techniques may help reduce TMJ. Mouthpieces, also called bite plates, grind guards or intra-oral appliances, are often used by dentists to treat TMJ. They can be designed to fit on the upper or lower teeth. The mouthpieces are usually worn during sleep and can confirm if someone grinds their teeth by looking at wear on the device. The main way TMJ is treated is through pain killers. It is possible to get medical marijuana perscribed in locations where it is legal for treatment of severe TMJ pain. It is thought that exercises may relieve pain. See more detail on TMJ exercises. It is generally not recommended to use a snoring mouthpiece, such as a mandibular advancement device, when someone has TMJ. Using such a device can cause pain and discomfort because mouthpieces designed for snoring often move the jaw. Mouthpieces often lock the jaw in a certain position and this can cause discomfort. A way to treat snoring for someone with TMJ is often to use a tongue stabilizing device instead of a mandibular advancement device. One such example of a tongue device is the Good Morning Snore Solution. Tongue displacement does not usually cause jaw pain because it does not alter the position of the jaw. Dental and sleep researchers have found a that a disorder of the TMJ can contribute to sleep problems like sleep apnea. Obstructive sleep apnea (OSA) is related to chronic pain disorders which can include TMJ disorders. A common symptom of OSA is headaches and these headaches may be caused by jaw disorder. According to the Journal of Dental Research, participants in a study who had OSA symptoms had a 73% higher rate of TMJ symptoms. Temporomandibular joint disorder is experienced by over a quarter of the adult population with many causes from stress to injury. Snoring is experienced by almost half of the adult population and there is overlap with those who have TMJ and those who snore. If you have TMJ and snore, you could try a mandibular advancement device. It may prove to be uncomfortable, this is why many snoring mouthpiece companies do not advise use of their product when someone has TMJ. If you experience discomfort using a mouthpiece for snoring which rests on your teeth, you should strongly consider discontinuing using it and instead try a tongue stabilizing device. A tongue device will not alter the position of the jaw and is more likely to be comfortable over time.